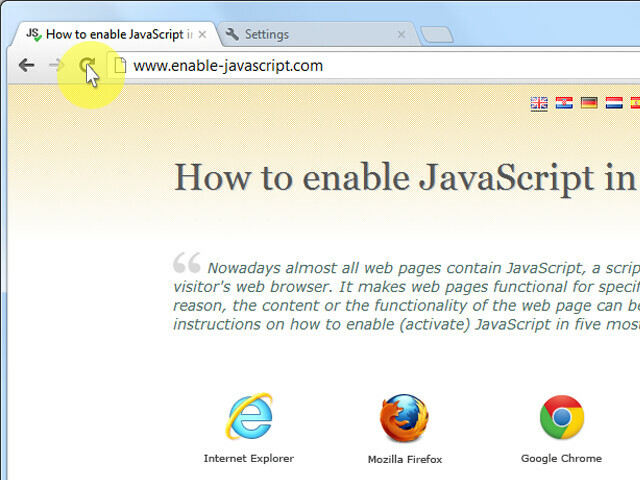 If you're a web developer, check the instructions on how to implement the <noscript> code on your internet pages. 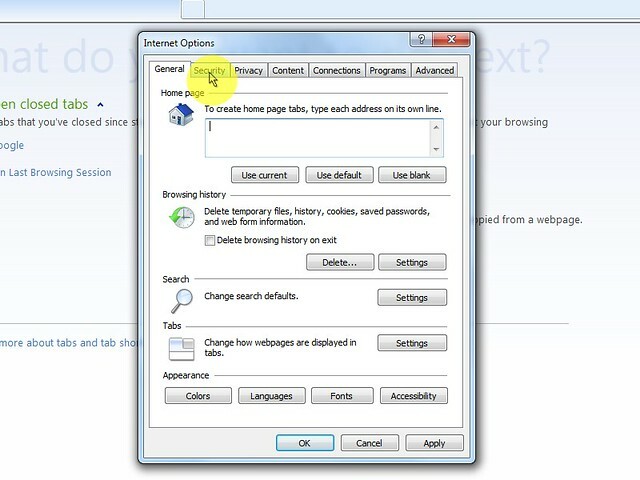 On web browser menu click "Tools" icon and select "Internet Options". 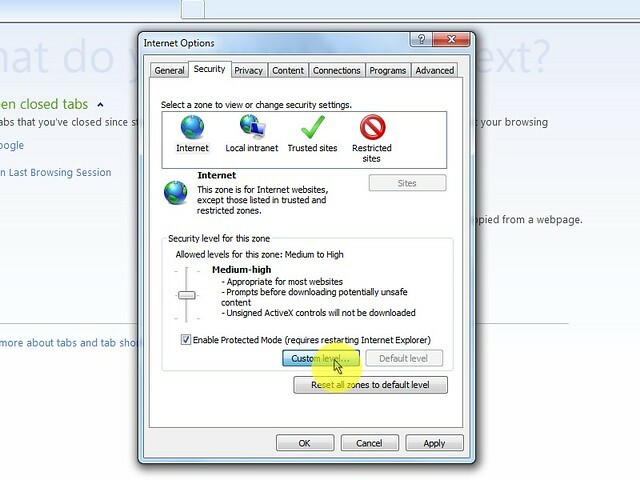 In the "Internet Options" window select the "Security" tab. 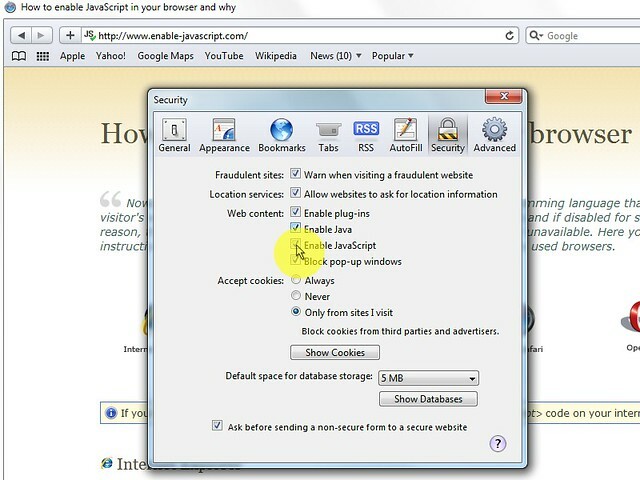 On the "Security" tab click on the "Custom level..." button. 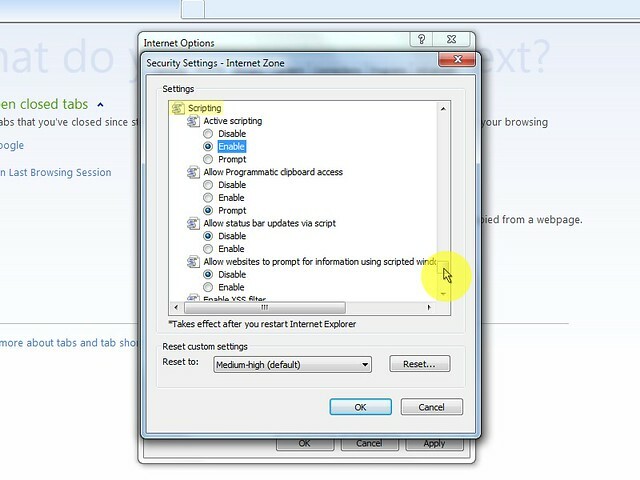 When the "Security Settings - Internet Zone" dialog window opens, look for the "Scripting" section. 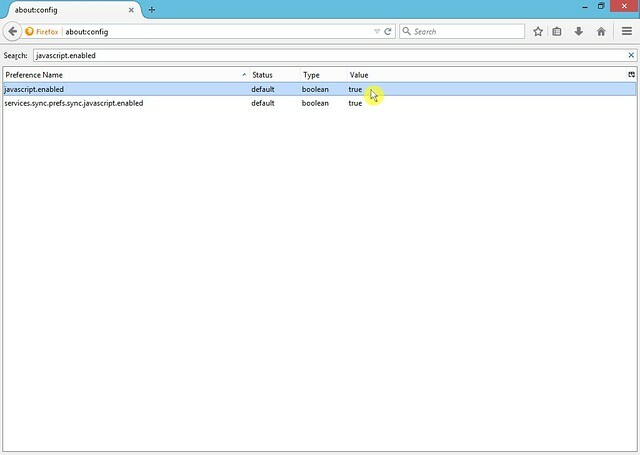 In the "Active Scripting" item select "Enable". 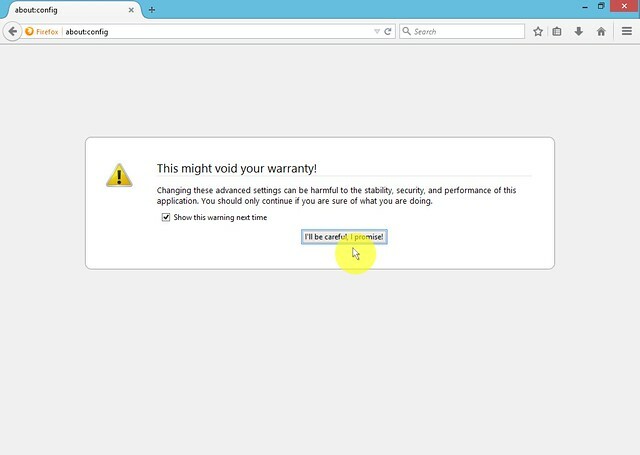 When the "Warning!" 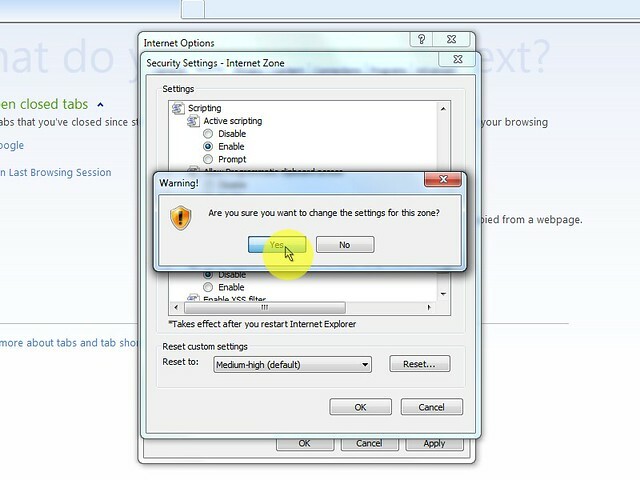 window pops out asking "Are you sure you want to change the settings for this zone?" 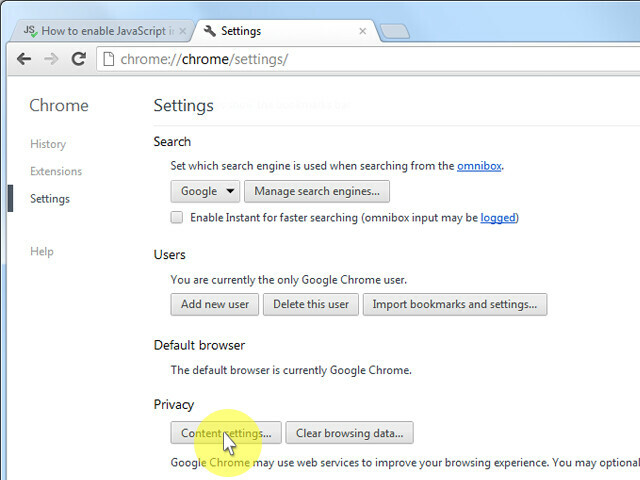 select "Yes". 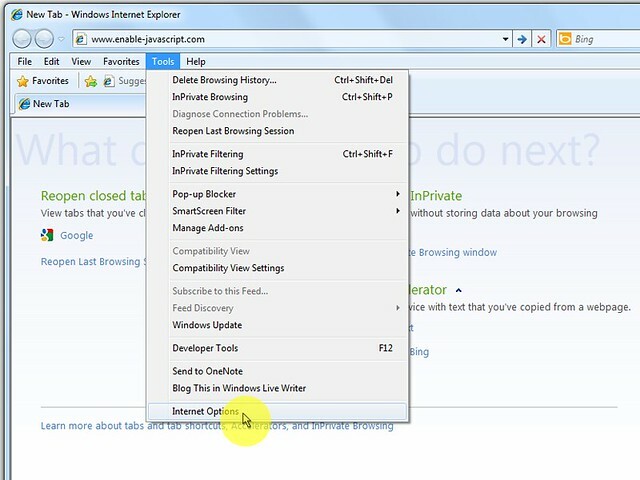 In the "Internet Options" window click on the "OK" button to close it. 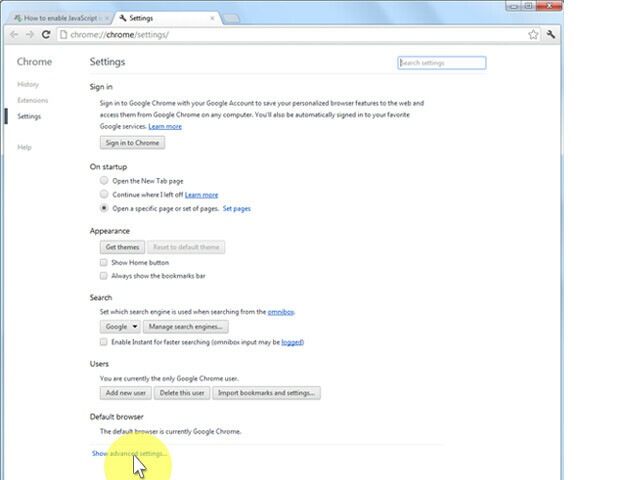 Click on the "Refresh" button of the web browser to refresh the page. 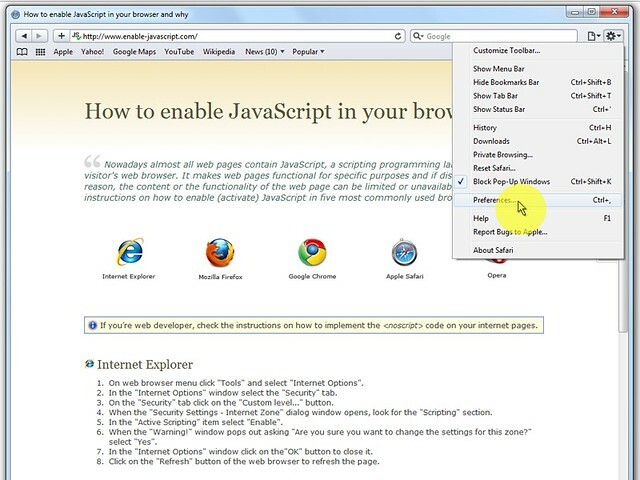 On web browser menu click "Tools" and select "Internet Options"
In the address bar, type about:config and press Enter. 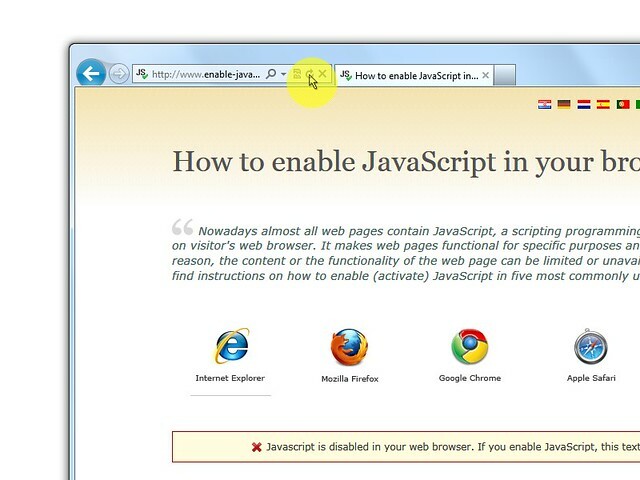 Click "I'll be careful, I promise" if a warning message appears. 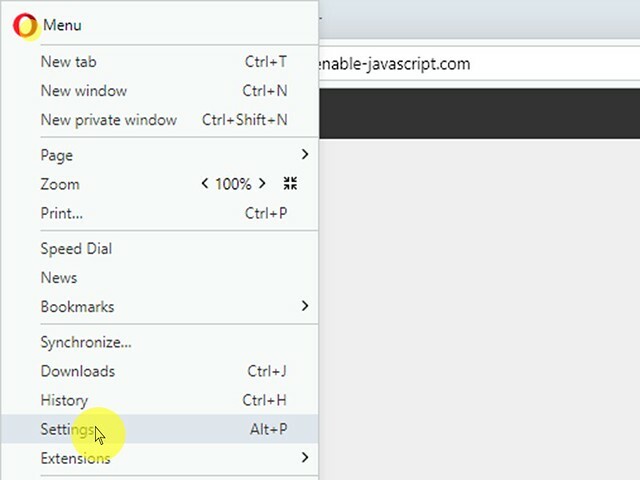 Click on the "Reload current page" button of the web browser to refresh the page. 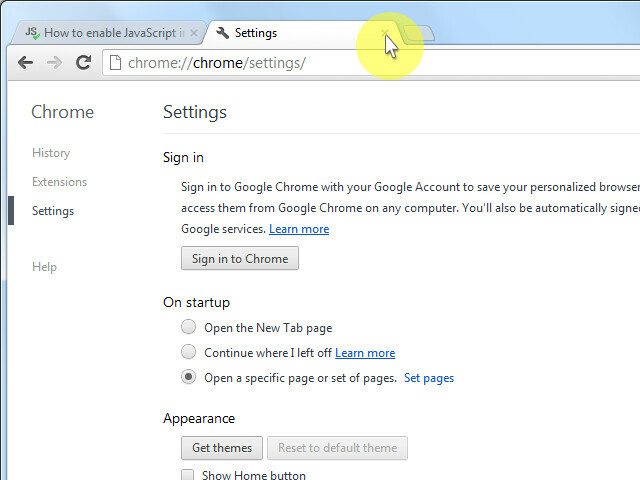 On the web browser menu click on the "Customize and control Google Chrome" and select "Settings". 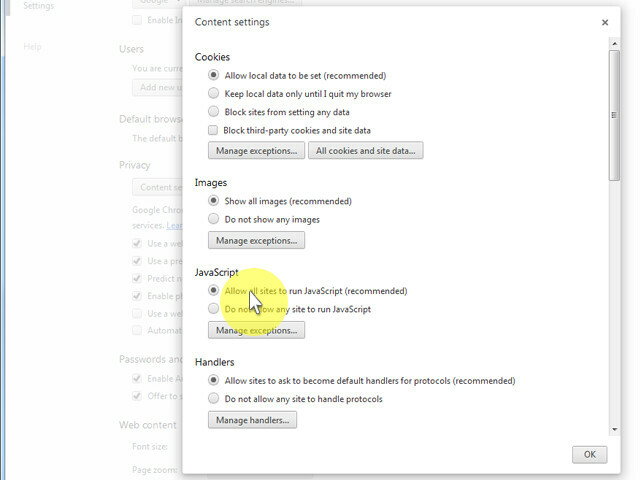 In the "Settings" section click on the "Show advanced settings..."
Under the the "Privacy" click on the "Content settings...". 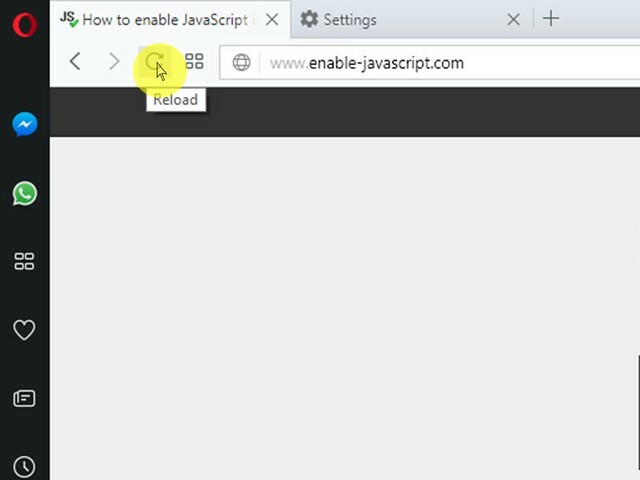 Click on the "OK" button to close it. 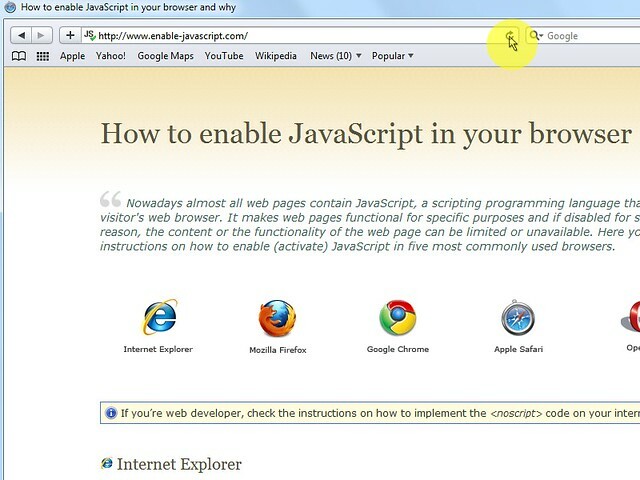 Click on the "Reload this page" button of the web browser to refresh the page. 1. 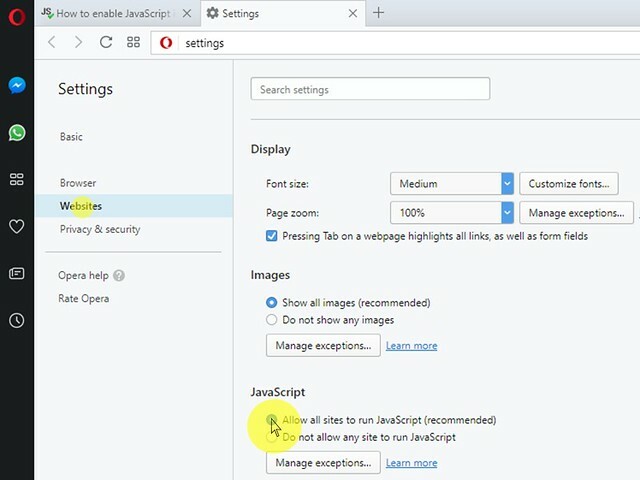 Click on Opera icon "Menu" and than "Settings". 3. 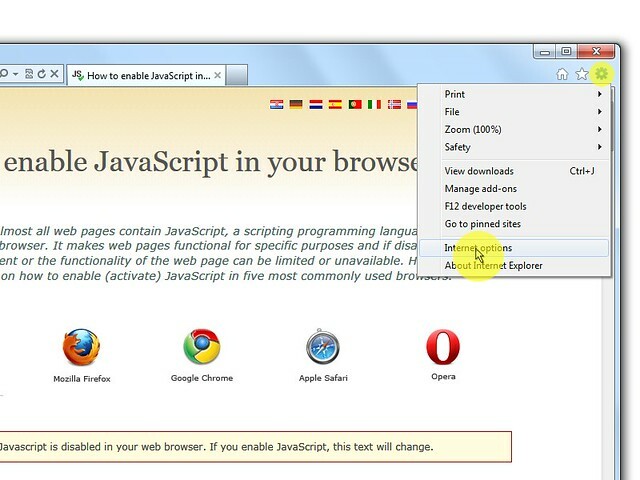 Click on the "Reload" button of the web browser to refresh the page. 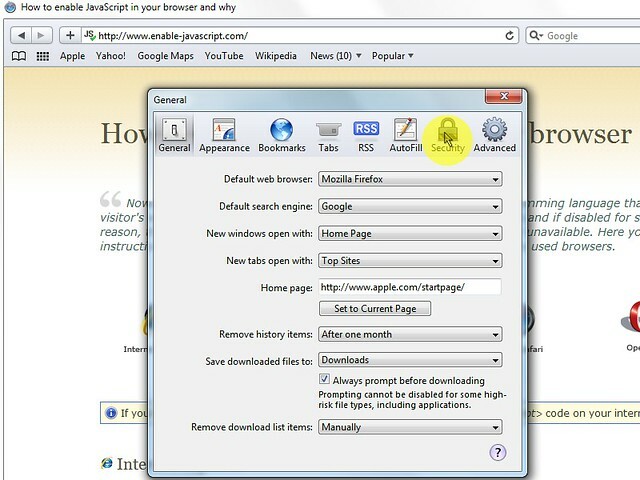 On the web browser menu click on the "Edit" and select "Preferences". In the "Preferences" window select the "Security" tab. 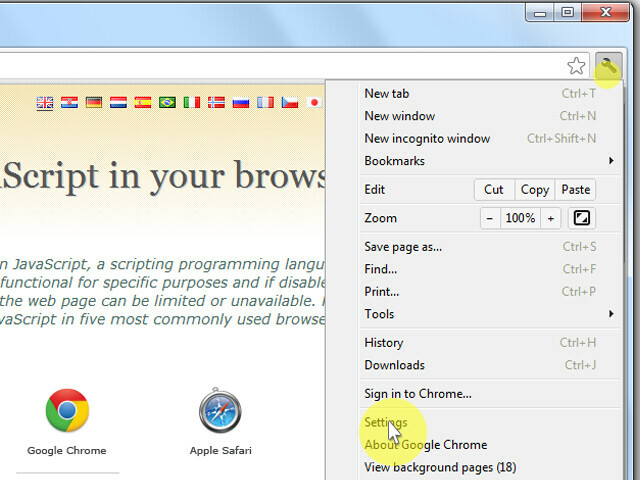 Click on the "Reload the current page" button of the web browser to refresh the page. 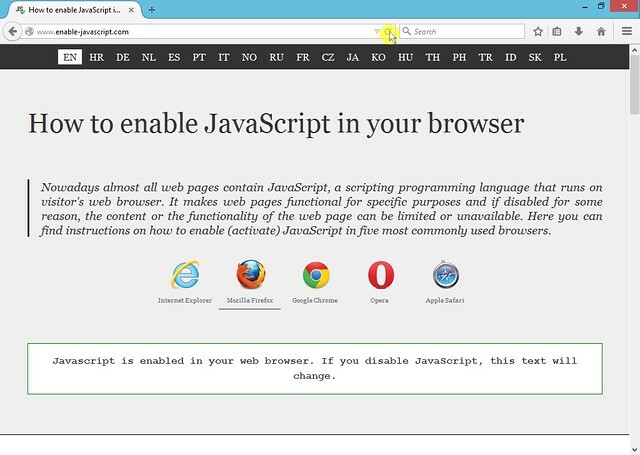 This developer-centric message is out of the way. 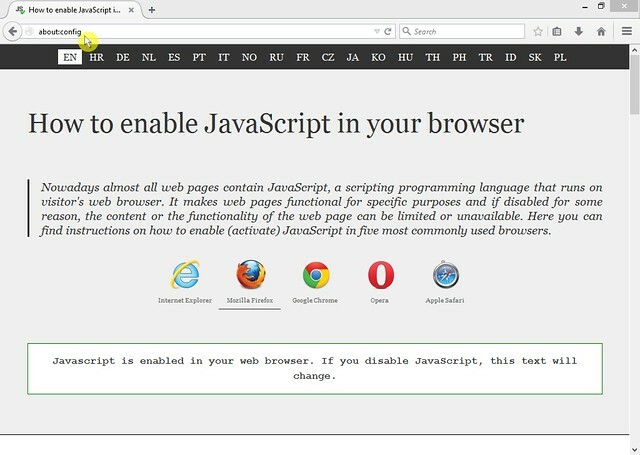 Programming, designing, testing, getting user feedback and writing materials for this website was done by Toni Podmanicki with help of Paul Irish & Jeremy Hill. Thanks to all those who helped and contributed in any way. 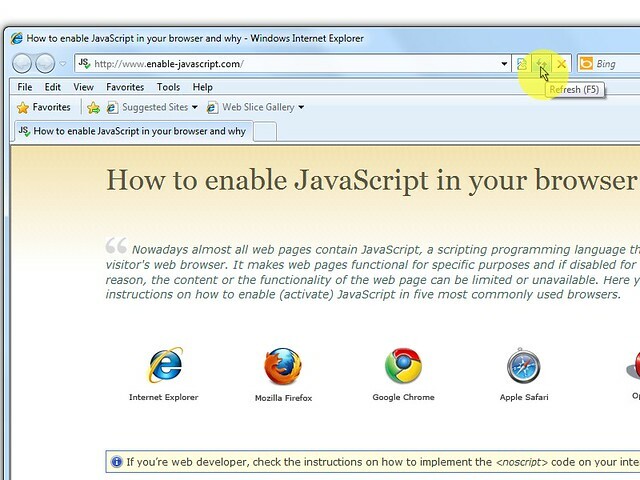 Hope you find this page useful.